Home » Archive by Category "Pigeon Forge Shopping"
Pigeon Forge, TN, is home to some of the most fun and exciting family-friendly attractions in the United States. We have shopping, amusement parks, musical shows, picnic areas, and anything else visitors could ask for an exciting experience. Are you looking for souvenirs during your Pigeon Forge vacation? Take a trip to The Island in Pigeon Forge to experience a fun atmosphere and a unique shopping adventure! WIth a few unique shops, The Island in Pigeon Forge offers great souvenirs and things to remember your Smoky Mountain vacation! If you’re looking for the best Labor Day weekend sales, Pigeon Forge is the place to be. Several shopping locations in the Pigeon Forge area are offering the best deals of the year this Labor Day weekend. Here is a short shopping guide for you to get the best Labor Day deals. Pigeon River Crossings (formerly Belz Mall) is home to more than 85 outlet stores. This Labor Day weekend they are having a spectacular sidewalk sale where you can find great deals on everything from outdoor supplies and home decor to apparel. Christmas comes early this Labor Day weekend with The Incredible Christmas Place tent sale. They are going to have great deals on the best Christmas ornaments and decorations. You can finish all of your shopping for back to school, birthdays, holidays and of course for yourself on a budget this Labor Day weekend. 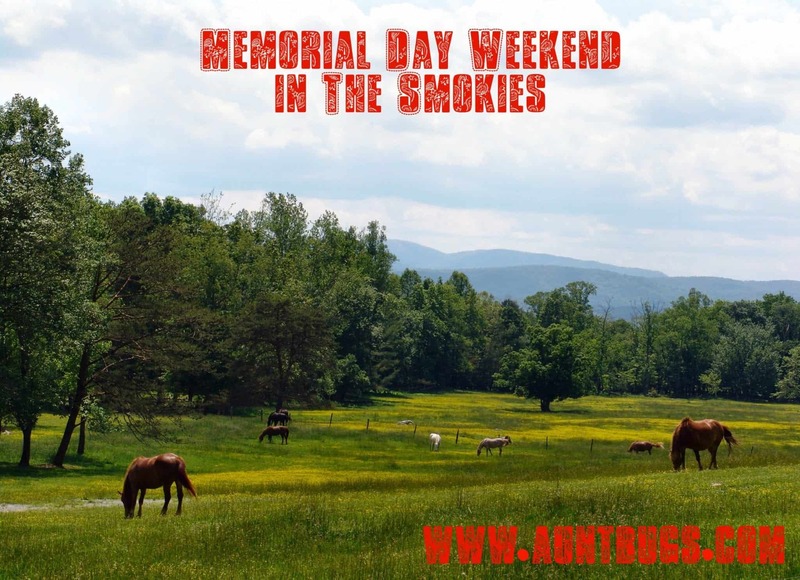 And after a busy day of shopping, if you need a place to soak your feet and store your shopping bags Aunt Bug’s can set you up in the best possible cabins in the Pigeon Forge, Gatlinburg and Sevierville area. We also have Labor Day specials of our own going on! Right now we are offering 10% OFF ALL 3 day stays and 15% OFF ALL 4+ day stays until September 27.